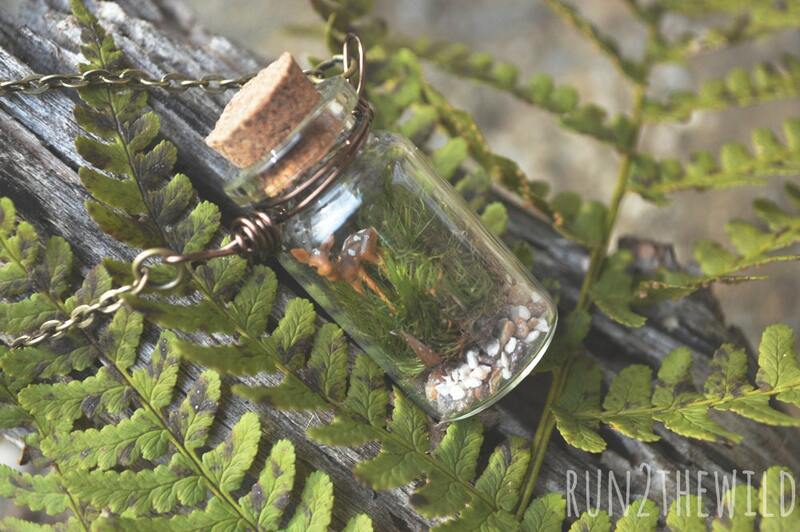 Bring a bit of the forest with you where ever you go with this sweet bottled terrarium necklace. 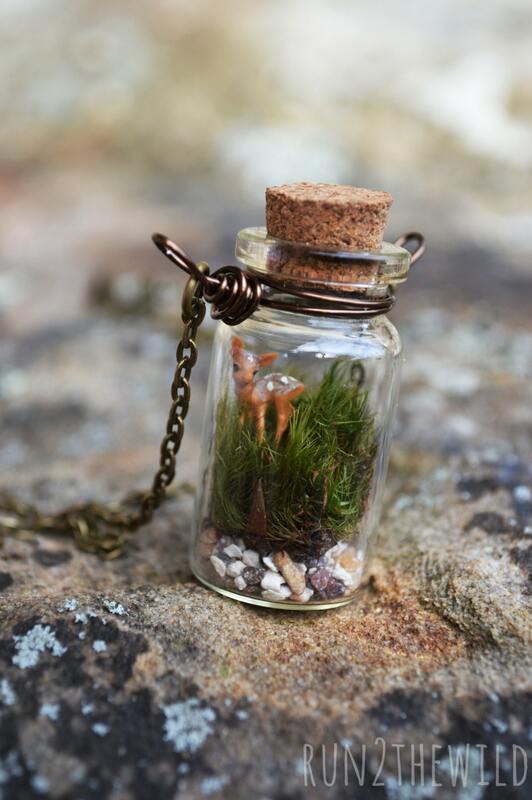 Inside the glass bottle you will find a miniature ecosystem of live moss and a hand painted baby fawn. NEW!! You can now select different lengths and better finishes for your chain! 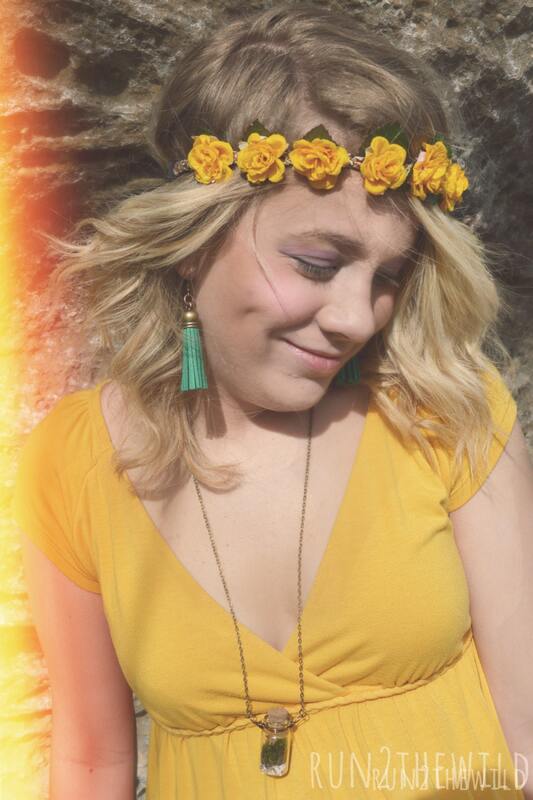 See last photo for example of necklace lengths. The Bronze is a nickel free metal and the Silver finish is a stainless steel which is water resistant. The model in the picture is wearing 30 inch. 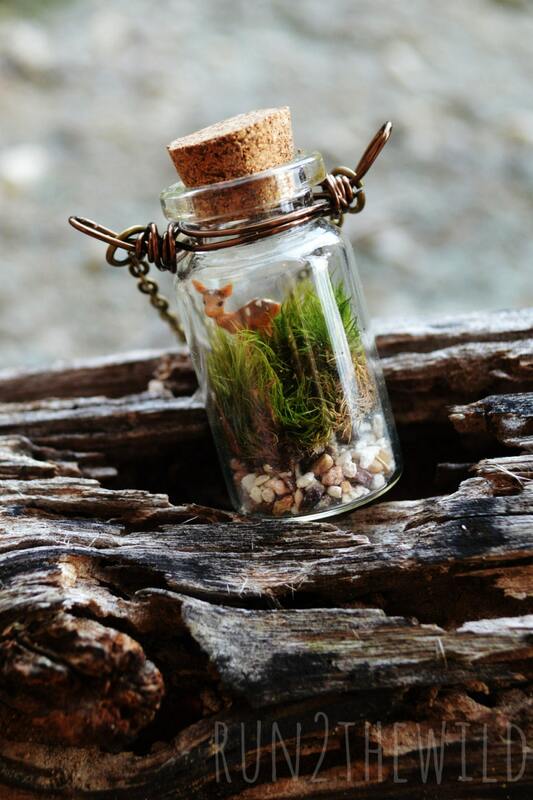 The bottle is secured to the necklace with a matching wire wrapped bail. Comes wrapped ready to gift with clear and complete care instructions. This cute little necklace (which I can’t seem to photograph well) arrived very quickly and safe in one piece. Very satisfied. Wow, this is cute beyond words! I LOVE it! And you actually made a better choice on the chain length than I would have--longer is better for this pendant. The shipping was super fast. I can't wait to wear it. It's one of my favorite pieces! I love it, it's exactly as in the description shipping was also very fast! Shipped fast and it's so pretty!! I get tons of compliments on this necklace!! I highly recommend!! This is my second one of these cute necklaces to purchase. Giving one to my friend's daughter as a Christmas present!